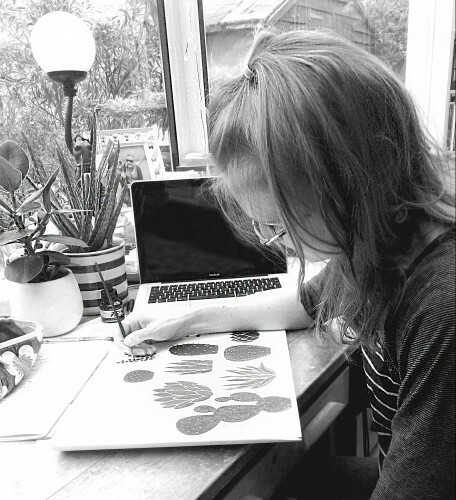 Hello, I’m Maisie Parkes, an illustrator and ceramic enthusiast based in Shropshire in the UK. Since graduating from Bournemouth Arts University in 2015, I have developed my creative practice which includes forms of printmaking and, more recently, ceramic work. The core of my work stems from a passion to draw and an ongoing fascination with the natural world. Lino prints and hand painted ceramics, alongside my hand drawn illustrations, can be found on my Etsy store. Taking commissions has become an important part of my creative practice. I love to work closely with people to create that something special which is one off and unique to them. Whether that’s a bespoke drawing of your home or a sentimental ceramic building made in miniature, please get in touch for more information. See here for examples of previously commissioned work. Commission, question or say hello?